More and more organizations are beginning to revamp their communications programs with enterprise mobile apps. These custom apps allow companies to communicate directly with their employees, customers, and other stakeholders. 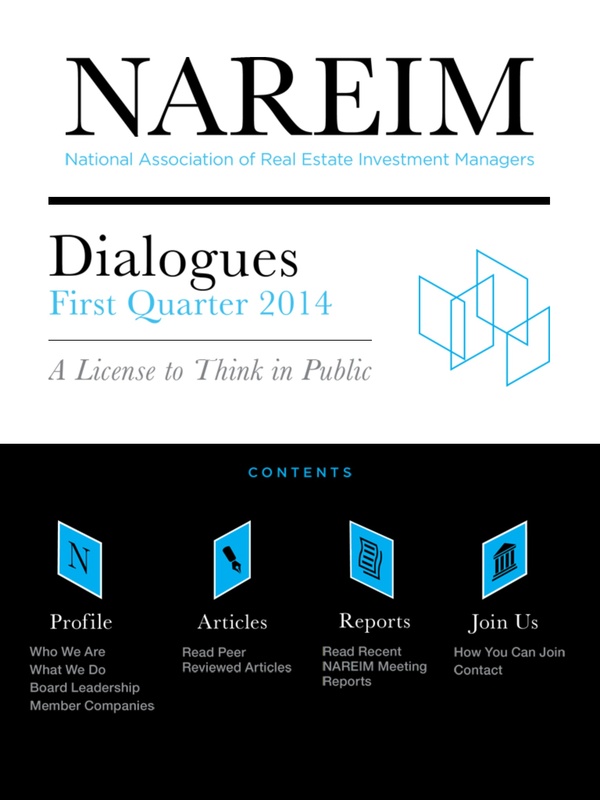 The National Association of Real Estate Investment Managers – or NAREIM, for short – did a fantastic job creating an interactive digital newsletter that is privately distributed to members on their iPads. The newsletter features jump links throughout the app, making it very easy for members to quickly find all the content they are looking for. Because it is a digital publication created with InDesign on the mag+ platform, the designers for NAREIM can easily update each new issue of the app to be published every quarter. Users can be instantly alerted that a new issue is available through a push notification delivered directly to their iPad. What’s so great about this app is that it really increases the level of engagement that members have with the association, allowing members to be in the know about events and news at NAREIM. Traditional paper newsletters often get thrown away or lost, but with a library of issues members can always access their content on the go, wherever they bring their iPads. Push notifications act as a great reminder for members who might otherwise forget to look at a traditional newsletter. By publishing their quarterly digital app, NAREIM is able to more efficiently and more effectively communicate with its members on a regular basis. Check out this video and see for yourself how this digital newsletter engages the members of NAREIM!